Trend mobiles phones best in quality and cheap rates phones for everyone first local Pakistani mobile company. 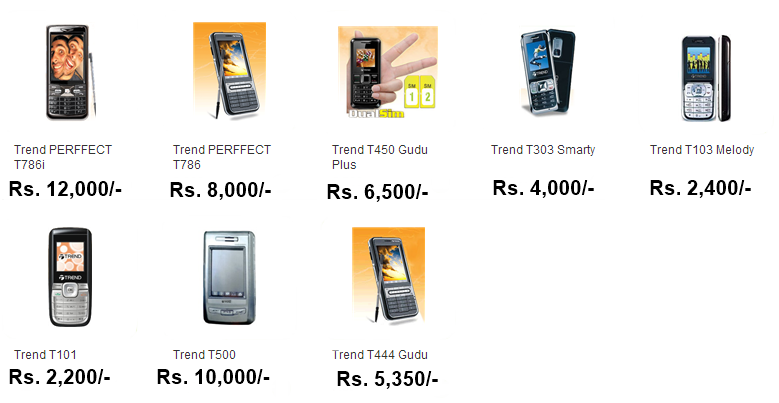 Trend mobiles have everything according to the user's need. The mobiles equipped with running technology and latest features. Trend mobiles gives you camera, Bluetooth, Dual SIMs, FM Radio, and all many more at very low rates below you checkout the Trends mobiles rates.